Thread: New to Charvel Guitars, where do i begin? Hello everyone, new here and as well as new to Charvel guitars, i just recently got and possibly scored on two charvel guitars that need some love. Upon some research i found that i have a japanese model 5fx and a predator, i want to restore these as they are missing some things but i dont know where to start, been searching the forum but cant find any info as theres sooo much. if anyone can help me out on whether they are legit and/or help with replacement parts etc etc. Last edited by DarthStryfe4340; 04-15-2019 at 05:28 PM. For replacement parts, www.fretsonthenet.com or ebay. Both look great. The Predator needs just easy stuff, electronics don't need to be period correct but even that stuff is available. 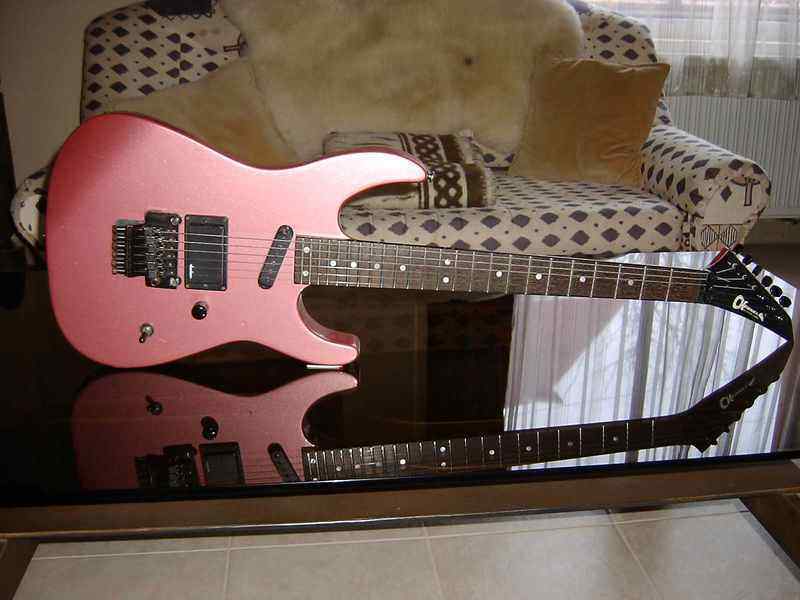 Killer guitars, love the matching pair! Welcome to the forum. If you don't mine me asking, what did you get the pair for? That 5FX is interesting with its pull-up route added. They were originally the 5A with one humbucker, then some that didn't sell got sent back to the factory for the added single coil, some got tone controls added and some didn't. Never saw them add a pull-up route. When I first saw this topic, I was also going to comment about the pull-up route. But then I looked at Google Images search results for "Charvel Model 5FX" https://www.google.com/search?newwin...aI-engemod0QM: and there are too many Model 5FXs with pull-up routes done cleanly (suggesting they were done at the factory) to ignore. So then I conceded to myself, "I guess 5FXs had pull-up routes". Hmm. Last edited by Number Of The Priest; 04-17-2019 at 07:19 AM. Wow, cool. I figured it was factory, just never paid much attention to that detail on any other pics before that people here owned. I had a 5A but never a 5FX. My 5fx has a pull up route, but I have seen them without too! Just like the tone knob, some did, some didn't. Why though? One thing I notice, my 3dr which has a pull up route and the finish is also inside the route. My 5fx though is black underneath suggesting it was done later by the USA factory. Seems like no rhyme or reason. It is rather interesting the strange things they've done at times with certain models. Awesome! Thanks everyone for the input/advice! Much appreciated! looking forward to getting more knowledgeable with charvel guitars. Great deal for that price! That would have been a steal for even the predator missing the parts. You definitely scored. Nice!! Now where can I find a deal like that too?? I would double your money! Great start to a Charvel collection! haha i may just hold on to these for a little while till i get more familiar with these guitars, so far i setup the model 5fx and man am i impressed with it overall, next in line is to get the predator functioning then find out what are some of the best made charvels out there. They all came from the same factory made by the same people. They are all incredibly well made guitars. There are some fan favorites and some with more rare factor (your 5fx for example is 1 of 300ish made). But the build quality across the board will be incredible on all of them. Japanese instrument makers were notorious for building exactly what was asked of them. If you asked them to build you a good quality instrument, they built you the best instrument they could. These are still a fairly well kept secret among those who know how good they are. I would take any of the Charvels from this era over ANY USA made Fender or Gibson.